What can EnergyGrader do for me? Do you want to reduce your energy bills? Then you have two options: start guessing what you could do or use EnergyGrader to get clear insights and customised recommendations on which actions make the most sense to pay less for your energy. EnergyGrader saves you money and time by suggesting personalised energy-saving actions you can take to cut down your energy bill - without any invasive hardware, software or auditing, ever. EnergyGrader follows a three-step process: collect your energy bill data, benchmark it against similar ones and deliver personalised recommendations. How does EnergyGrader collect my energy data? EnergyGrader connects to an expansive network of more than 3,400 utilities around the world that enables the automated, large-scale collection of utility data. Once you authorise EnergyGrader to use your online credentials to access your utility accounts, EnergyGrader checks every utility site in its network 24/7 to collect any new or updated energy consumption and bill data. How does EnergyGrader benchmark my sites? Once EnergyGrader had analysed your site consumption and available metadata (location, surface, activity, facade type, etc. ), it is anonymously normalised against a proprietary database of more than 50,000 sites monitored in real-time. How does EnergyGrader deliver recommendations? DEXMA’s Energy Intelligence platform detects a cluster of real-time monitored buildings similar to yours. Then it applies NILM technology (Non Intrusive Load Monitoring) to quantify your sub-consumption data (HVAC, lighting, refrigeration, etc.). Then, in conjunction with EnergyGrader’s recommendation library, it applies complex decision tree algorithms to deliver specific recommendations. Right now, EnergyGrader works best for two primary groups of customers: commercial companies (e.g. corporate buildings, supermarkets, retail stores etc.) and providers of energy and sustainability solutions. I am managing energy in an industrial setting, can I use the EnergyGrader? You can, but to be honest, it’s better not to. We haven’t sufficiently tested EnergyGrader technology in an industrial setting to provide specific energy efficiency recommendations with confidence. Since every industry has its own specific production process, things can get pretty complex. For this reason, we recommend that industrial energy managers try DEXCell Energy Manager for a more bespoke solution or contact a trusted DEXMA partner. Can I use EnergyGrader to save energy at home? EnergyGrader artificial intelligence algorithms were built with commercial buildings like offices, retail, supermarkets, universities, etc. in mind. We don’t offer services to households just yet - but let us know if this is something you would like to see. Do you provide historical utility data? If so, how far back? Yes, we provide historical billing data. How far back we can go is predicated on the policies of each particular utility provider. It can vary between three and 36 months, but it’s typically greater than 12 months. I sent my credentials, how come I’m not getting any recommendations? Getting data from your utility provider can take anywhere between 24h to several weeks, depending if the connection is available or we have to build it from scratch. Utilities make constant changes to their web portals, so our integrations need time to update for them. As soon as EnergyGrader has the data it needs, your recommendations will be generated instantly. What kind of data do I need to provide? Only your credentials: username, password and account number for each energy provider. What you can do with my credentials? Nothing, except see your energy bills. EnergyGrader can’t change anything from your contract, or contract new services with your utility. In addition, for any type of change, your utility would require a dual acceptance (by phone or by any other channel). Do I have to upload the bill data for all my buildings? Nope - EnergyGrader does this for you. Up to 36 months of historical data can be recovered automatically. I already have some energy data in Excel or PDF, can I upload it to EnergyGrader? No need :) EnergyGrader takes historical energy data automatically from your utility website. Once you log in with your credentials, you don’t have to do anything else - the platform does the rest for you. If I’m paying too much for my energy, can EnergyGrader help me switch providers? Not yet… but this is in the works for future iterations ;) Let us know if this would be a dealbreaker for you! I am or already have an energy manager - why should I use EnergyGrader? If your company already has an energy manager or dedicated energy team, high five! You’re light-years ahead of most businesses. EnergyGrader can help energy professionals do their job better and faster while saving money in the process - just like your marketing team uses marketing automation tools or your sales team uses a CRM platform to optimise their processes. What are the security risks? Is my data safe with EnergyGrader? Security is a top priority for us. That’s why we invest all necessary resources in taking every security precaution while building EnergyGrader. EnergyGrader uses advanced encryption algorithms to transfer all your data ensuring the highest possible protection. EnergyGrader refreshes itself every day to discover new available bills through your utility web portal, so you should see the data by the next day. I have multiple sites served by multiple utilities. Can I manage them all with EnergyGrader? EnergyGrader handles multiple utilities perfectly, even if there are several providing different services to the same project or site. Simply add your different credentials and let EnergyGrader do the rest. Why should I give you my utility account credentials? Is it secure? It is the best way to get your data automatically without annoying you. EnergyGrader uses advanced encryption algorithms to transfer your energy data from your utility web platform to the EnergyGrader platform. Is EnergyGrader compatible with my utility? EnergyGrader is compatible with more than 3,400 utilities around the world, and we are adding 100 more every month. To find out if your energy provider is compatible, simply register and check it out online. If your utility it is not there, no worries! We will add it at no extra cost. How does EnergyGrader compare to traditional energy management solutions? EnergyGrader is a new way to detect energy savings opportunities at scale, reducing costs, minimising risks and increasing project output. Traditional energy management diagnostic tools such as on-site audits can offer 7% more precision than EnergyGrader, but at a much higher cost in terms of time and resources. For many businesses, EnergyGrader provides a much easier, simpler and cheaper way to approach energy cost reduction - or at least as a first step on that journey. Does EnergyGrader offer recommendations based on gas or water consumption? Not yet. First we’ve started with electricity, but other energy sources will be available very soon. Stay tuned. Can I show EnergyGrader financial metrics to my CFO? Sure. The metrics you see on your personalised recommendations have been validated by a team of energy managers, so you can show them to your CFO with confidence! I am already using DEXCell Energy Manager, should I switch to EnergyGrader? While DEXCell Energy Manager has been designed to offer an in-depth analysis of your sites (using hardware and sensors), EnergyGrader leverages artificial intelligence algorithms to deliver specific energy productivity recommendations at scale, for your entire portfolio of sites. Although we usually recommend starting with EnergyGrader and then moving to DEXCell for deeper monitoring and analytics, both tools can be used in a complementary way. I have several locations configured in DEXCell Energy Manager with real time data, can you make them appear in EnergyGrader? Not yet. Contact support@dexmatech.com for assistance with this type of migration. Can you guarantee a lower energy bill if I pay for this service? Only an ESCO-certified Energy Performance Contract (EPC) can guarantee that you will save you money. EnergyGrader is not an ESCO contract, but it does offer custom recommendations that fit your budget. If you execute these actions, you will generate energy savings, but if you do not, your energy consumption will continue to increase year on year. Why do I have to pay for EnergyGrader? By recommending energy saving actions, EnergyGrader is very likely to generate revenue for your company. 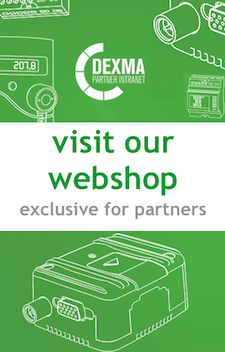 For a fraction the amount you are likely to save, you will get the most advanced and updated energy efficiency recommendations available on the market, supported and validated by DEXMA and its global community of more than 250 energy experts. Any question uncovered? Please drop us an e-mail to support@dexmatech.com and we will answer you in less than 24h.